We do not have to look too far into the past to find a world without music videos. Believe it or not one of the most successful musicians of all time, Elvis Presley, had a successful career WITHOUT a single music video. 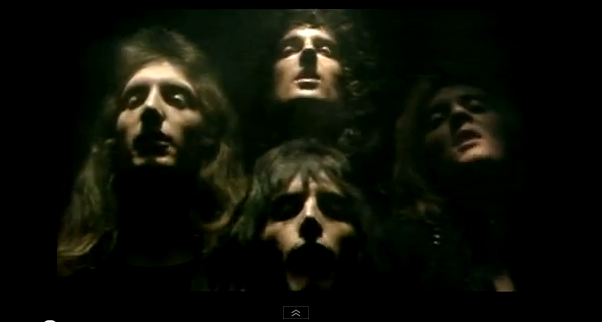 The first music video is often credited as Queen’s hit “Bohemian Rhapsody” . Bohemian Rhapsody was released on the 31st of October 1975. It enjoyed critical success and is quite frankly the greatest song ever (in my opinion). Soon after the song was released Queen were set to perform the song live on Top Of The Pops, however due to it’s complex harmonies this was very difficult. Queen then set about recording a music video to be played on Top Of The Pops instead. This is then set a standard for artists to release videos to accompanies their music and is why Bohemian Rhapsody is regareded as the first music video. However other musicians had produced promos for their music before Rhapsody. There are claims all over the internet as to what the first music video is, however going back before the rise of Television doesn’t really count and so we look towards The Beatles. The Beatles created two of their own feature films A Hard Day’s Night (1964) and Help! (1965). These films were musicals and are often known as The Beatles setting the precedent for music videos, even though this had been done before. After the release of these two feature films, The Beatles then shot ten black and white promotional clips for their songs. This then started the trend of artists releasing clips to promote their music.